When Steve Nastos is wrongfully accused of murdering his dentist—a man whom he believes committed an unspeakable crime against his daughter—he decides to take the law into his own hands. Freed on bail, he attempts to track down the actual killer in a town where laws are seen more as guidelines and law enforcement agents adhere to their own moral relativism. Handicapped by a recovering alcoholic lawyer, a rogue cop, and a two-faced judge, Nastos has the cards stacked against him. As his estranged yet beloved wife inadvertently becomes involved in the case, the stakes become higher, and Nastos is forced to protect her. What a week! In the midst of craziness, I had one perfect escape - R.D. 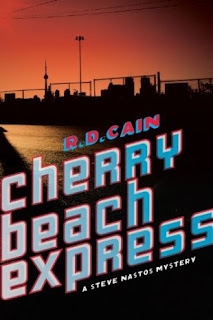 Cain's Cherry Beach Express .I expected to read a great mystery, but I got the added bonus of a great legal thriller, too. Steve Nastos - a detective in the sexual assault unit - is on trial for murder. At first I wondered if he did it - then I hoped he did do it. I wanted Nastos to be guilty, but be found innocent. "Is everyone just one bad circumstance away from killing anyone else?" Cherry Beach Express makes a strong case for justifiable homicide. In the end, I was happy with the outcome. 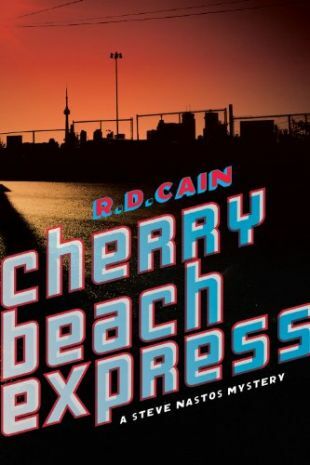 I'm not convinced that everything in Cherry Beach Express could really be pulled off, but like Marcia Clark, R.D. Cain gets instant credibility. He has "worked for the last 18 years in emergency services as a paramedic, firefighter, and police officer". His expertise comes through in his writing. Cherry Beach Express should appeal to a wide audience. There's mystery, suspense, court room drama, crime, shoot outs, car chases... It was a great read. OOOOOhhhh! This sounds like my kind of read. Fab review and I will be adding this one to my list. I always like reading books where the author's particular life experience or expertise adds credibility to the story; this sounds like a great thrill read.